So … last night you threw an epic rager. And that smell you’re currently smelling reminds you of when the roof got a flame and you exclaimed, “We don’t need no H2O…. Let the mother roofer scorch!” Now, you’re left with a damaged roof and a pounding head but hey… that party was epic. Don’t let the headache of repairs get you down when you can rely on us and go back to living your rock n’ roll lifestyle. Our team of roofers in Concord NC handles all repairs in a timely matter to ensure you keep your sanity. Whether you have a commercial or residential roofing project our team is able to offer you excellent craftsmanship and unmatched customer service. Our Concord roofing contractor team is highly qualified and have a plethora of knowledge and experience in the installation of a new construction roof, repairing or replacing a roof on the commercial and residential level. If you are looking for a Concord roofing contractor to install an asphalt shingle roof or need an asphalt shingle Concord roof repair you can count on us to get the job done. We raise up roofs that look beautiful, will last you through the years and shelter you from all of life’s storms. Our Concord roofers takes a tremendous amount of pride in the quality of work we offer. We love what we do and do what we love so you can always be sure to get our service with a smile. The southern hospitality you will receive from us is that of what you would expect from a roofing company that has been servicing the Concord and Charlotte area for more than a decade. Give us a call today and find out why we are the #1 roofers in Concord NC! 1. You’re pretty awesome. “What the heck does that have to do with you?” you might be asking. Well, because we think you’re awesome, we want to help you in any way we can. We genuinely care about people and helping them build a strong, sturdy roof above their heads. Our roofing contractors pride themselves in being honest, ethical, and fair. We are people who love what we do and do what we love and our passion is seen in the work that we build. You will not find a better roofing company with better Concord roofers. 2. Commitment to the craft. Our team of Concord roof repair and replacement specialists is so obsessed with building roofs that we dream about it all the time. No, really… this is how we are able to build you the roof of your dreams. Our team members have been working in this field for most of their lives and are true professionals in the industry. We take pride in the quality of our work and always aim to do our best on every job. Our end game is to leave you 100% satisfied with our work and no job is done until that is the case. 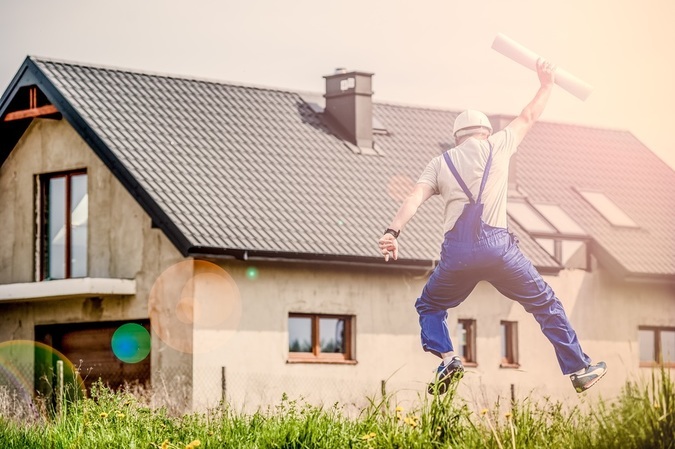 When it comes to your place of business or home we know the importance of being at the top of our game and you can rest easy knowing that your are getting our very best. 3. Our services won’t make you break the bank. We understand the financial burden an unexpected and immediate need for a repair can have on your business or household. Our pricing is fair and competitive so you can rest easy knowing you are getting one of the best roofing prices in Concord, NC. We ensure that all jobs will be done in a correct and timely matter. Our highly productive team understands the importance of your time and that time is money. In fact our work will turn your home or business into an energy efficient fortified fortress saving you money monthly by reducing your utility bill. 4. Courteous and respectable. When you hire us on to take care of your asphalt shingle roofing needs you can trust that we will treat your place of business or home as if it is our own. We take you trusting us with your home or place of business very seriously. 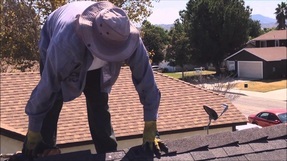 Our team of Concord roofers will always be respectable and courteous from the initial point of contact all the way up to and beyond the time that our job is complete and you are satisfied. 5. We do it all … (well, almost). Need a service other than roofing? We are a full service construction company. Searching the web for a replacement window service Concord NC? We’ve got you covered! We also provide installation, repair or replacement of an asphalt shingle roof, storm damage repair, gutter installation, and vinyl and Hardiplank siding: you name it; we are a roofing company that does it all. When it comes to a large commercial project or a home improvement job we have got you covered. We are locally owned and big enough to handle large-scale commercial jobs but also not too big to handle a residential project. Our services are just the start of all we have to offer. The greatest asset we have is our excellent team of Concord roofing contractors. On top of our expert craftsmanship you will also receive top-notch costumer service from our team when you take us on to be your roofing contractor. You will not find another roofing company in Concord that has all we have to offer! The confidence that we have on how happy you will be with our roofing service is so high that all of our work comes with a 100% satisfaction guarantee. We truly believe that our job is not finished until you are completely happy with the results. In fact, we are so committed to your satisfaction that we also work with insurance companies to keep you as stress-free as possible. 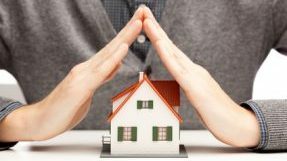 We know how stressful it can be when dealing with your insurance company which is why we offer this as part of our hassle-free process. When you choose us as your Concord NC roofing company you can rest assured that when it is all said and done you will be 100% satisfied! How to get started: Contact us to request a quote on your roof inspections and maintenance service. You can start by either giving us a call or sending us an email day or night. If we are busy with another costumer and unable to answer we ask you kindly to leave a short message with your information and we will be sure to get back to you as soon as possible. Give us a call today or fill out the form at the top of this page to find out why we are the best roofing Concord NC has to offer!